Bleached stonework, columns, fountains, settled in a giant glass pyramid with a retractable roof. 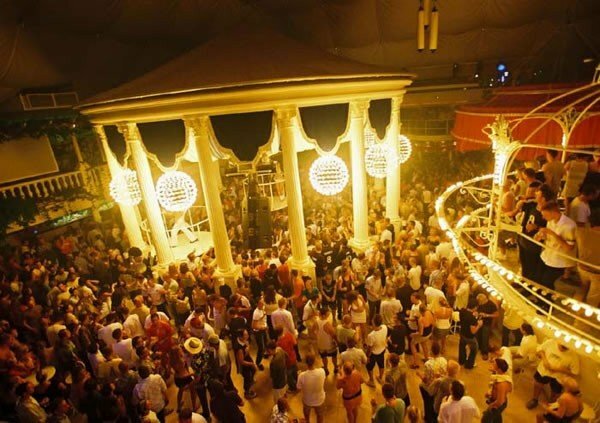 The club was created as an alternative to Pacha.The audience mainly British youth. Receive up to the club more than 3,000 people. Visit card of the club's famous water party "sunken dance floor." The dance floor is filled with water, and at the end of the night turns into a party of giant water fight to the very good and plesant music. 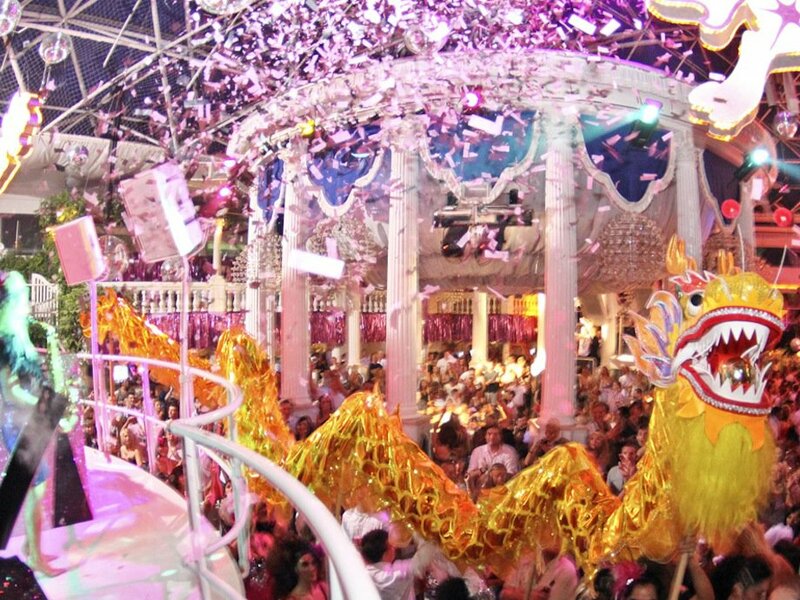 Today, this large closed terrace nightclub and second oldest club of Ibiza, has 3 dance floors, 3 rooms: Café Paradis, The Gallery and the Main Lounge, 4 inviting VIP areas:Privé Divine, The Red Room, V.I.P. Zone and the extremely exclusive La Luna Privé. Furhermore there are a pool, cloakroom, 10 bars surrounding the main dance floor and serving drinks at reasonable prices, a boutique, a pool (hidden under the floor that pulls open), a roof that opens, and an amazing Hi-Fi soundsytem of 14.000 watts together with 300.000 watts of lights to impress you with. Every night music beats will adapt to the DJ or Party, with an eclectic mash up ranging from old skool to bassline with more drum, bass and dubstep, breaks, electro, disco, hard dance, house, indie, techno to urban or funky house.